Throughout 2017 we took part in a number of fundraising initiatives. Our main fundraising event was the Metro Safety ‘6 in 6’ bike ride. This was no mean challenge! Ten brave riders cycled through 6 European countries in 6 days, starting in Saarbrucken in Germany and finishing in Trafalgar Square, clocking up 500 miles along the way. Next was the Metro Safety Rowathon. 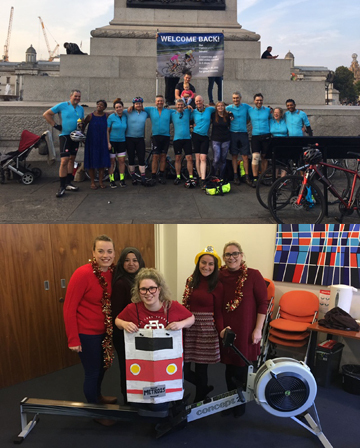 In order to complete the ‘missing’ 25 mile leg of the ‘6 in 6’ bike ride – Calais to Dover – various Metro Safety staff used rowing machines to cover the distance the cyclists travelled by ferry. Finally, we held a 25th Anniversary Gala Evening to raise additional funds for our nominated charities. 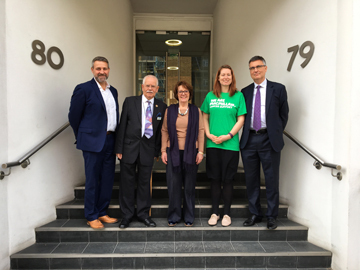 In January 2018 we were joined by representatives from all four of our nominated charities for an informal presentation. We would like to thank our staff, sponsor partners, customers and friends for their generous donations, efforts and support, making it possible for us to achieve our target and help our nominated charities continue their good work.